Now, your I-phone can be your hearing companion as well- Courtesy: A mobile app developed by the researchers at University of Essex that turns your I-phone into a hearing aid. 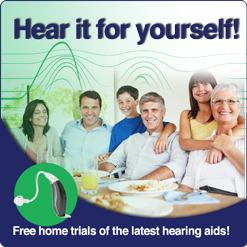 This is an exciting news for people suffering from hearing loss. Known as BioAid, this app is pretty different from standard hearing aids, people have been using so far. Standard hearing aids amplify all the sounds and they work on a single setting, while BioAid works on 6 different settings each of which has 4 fine tune settings, which allows the user to call the shots according to his hearing needs. The algorithm is based on the biological processes that take place inside the ear. BioAid which is available on I-tunes is the brainchild of Professor Ray Meddis- Essex Department of Psychology, Nick Clark- formerly a research officer and Dr. Wendy Lecluyse of University Campus Suffolk. The trio is quite excited about the change BioAid could bring. Professor Meddis said that the team is very excited about the potential of BioAid which could change many lives for the better. He also added that standard hearing aids amplify some frequencies more than others but BioAid is different and more effective as it compresses the very loud sounds that can make social situations like going to the pub, cinema or a birthday party taxing. Nick Clark and Dr. Wendy Lecluyse are equally excited about their innovation. Clark said that mobile is a wonderful platform for constantly changing hearing aid technology. Wendy believes that this app will inspire scientists to explore new research possibilities in hearing aid design which could change the future of hearing devices. With technological advancements and phones getting smaller, the BioAid could well change the future of hearing devices. 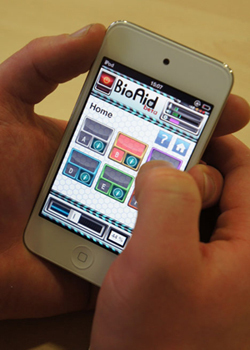 BioAid is a simple and accessible alternative to anyone who has I-phone or I-pod.